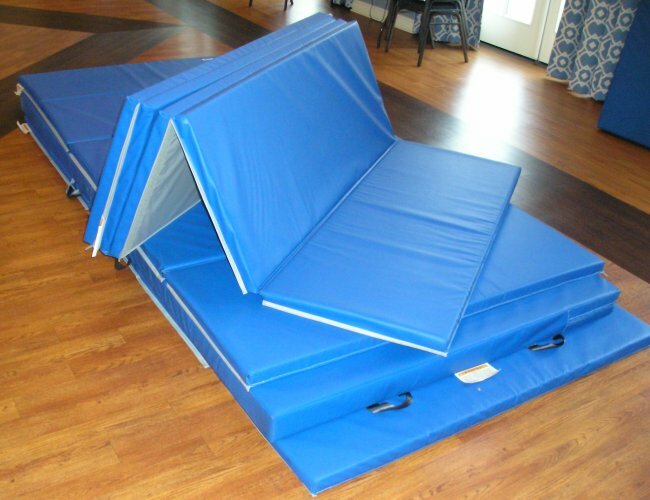 for older adults thick "crash-pad" mats are essential for a safe falling class. 1. A matted surface for practicing the basic rolling back and side fall positions, 1-2" (3-6cm) thick. Each student will require a 3x5 foot (1x2m) space. 2. A slightly slanted vertical mat surface for practicing the "Slap the Cheese" technique. This should be about 6 feet (2m) high and at least 4-6" (10-15cm) thick. 3. 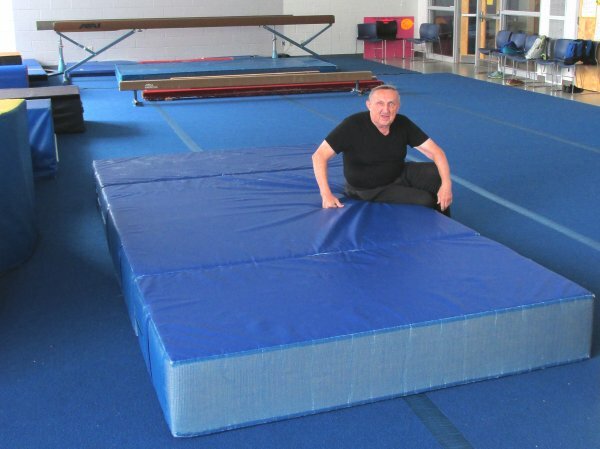 A large "crash pad" tumbling mat for actual falling practice. 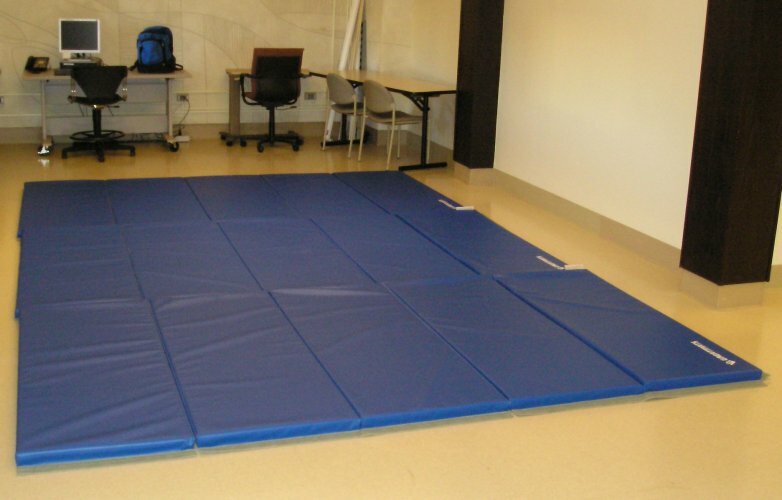 The basic mat set for a class of four to sixteen is three, 2" thick, 5'x10' five-section folding gym mats, and two, 4" thick, 5'x10' single fold "crash-pad" type mats. 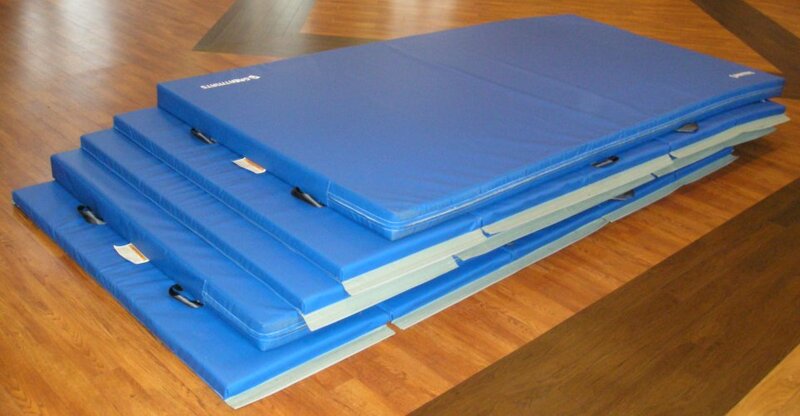 These five mats allow a variety of setups for safe falling practice. 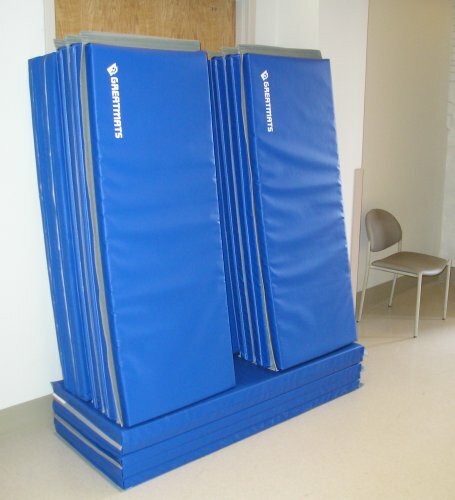 This mat set is moderately expensive, about $3000, and requires a storage space of at least 100 cubic feet. 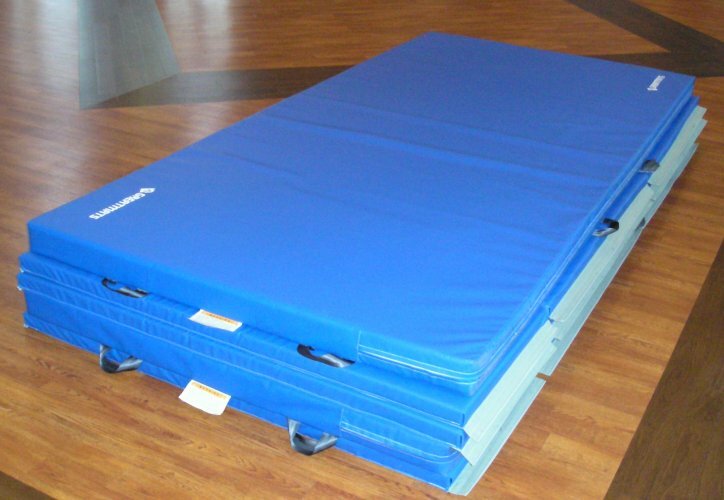 Many gymnastics locations have the equivalent setup with a 2" firmly padded "floor exercise" area, and 8-14" thick large crash-pad mats.